Teenagers are notoriously hard to manage partly because they are by definition at a stage life where they don’t want to be managed. Adolescence is a time of asserting yourself and part of that is to rebel against norms. 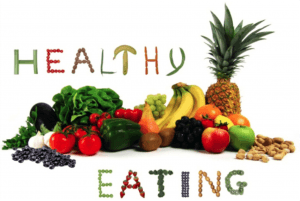 That becomes a problem if, in the case of food for example, a norm such as healthy eating might be good for you. In a new study though, researchers have found that the very nature of adolescence might be able to help teens make healthy choices. It is well established that teens have a heightened sensitivity to perceived injustice and will react against authority. Instead of fighting against those tendencies wanted to see if they could work with them to help teens make healthier food choices. To do this the researchers exposed teens to journalistic accounts of food industry practices such as engineering processed foods to maximise addictiveness and encourage overconsumption and using deceptive labelling to make unhealthy products appear healthy. The teens were also exposed to information around practises among the food industry like targeting poor people and the very young with advertising for the most unhealthy products. Hence the executives behind food marketing were portrayed as controlling adult figures who were doing the wrong thing. As the researchers said, they believed this might make eating healthy food a way of “sticking it to the man”, a form of rebellion if the establishment is promoting unhealthy eating. In follow up it emerged that the teens exposed to these messages did make healthier choices. There was a seven per cent increase in the rate at which the teens chose water over sugar-sweetened drinks and an 11 per cent increase in the rate at which they chose to have fruit, carrots, or nuts in preference to chips or biscuits. These are encouraging results and it is not like the teens were told untruths to achieve them. Who knows, if the link between refined carbohydrates and acne is true then this could lead to many teens becoming rebels without clogged pores.